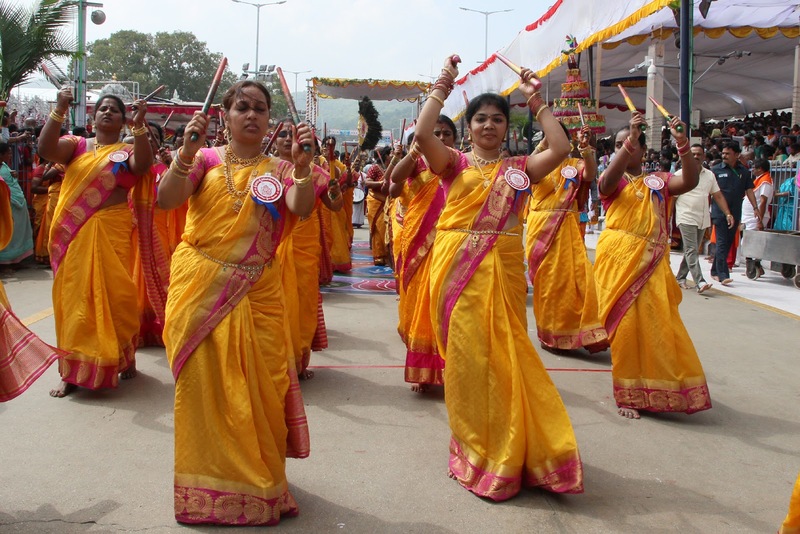 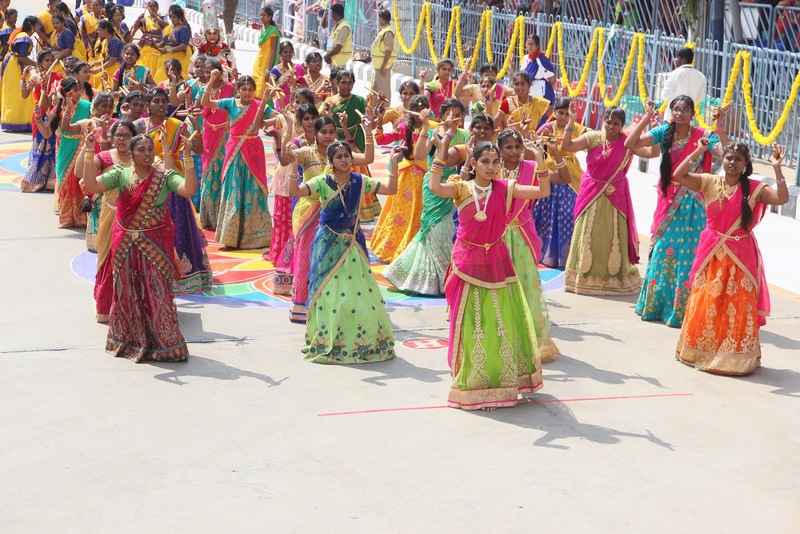 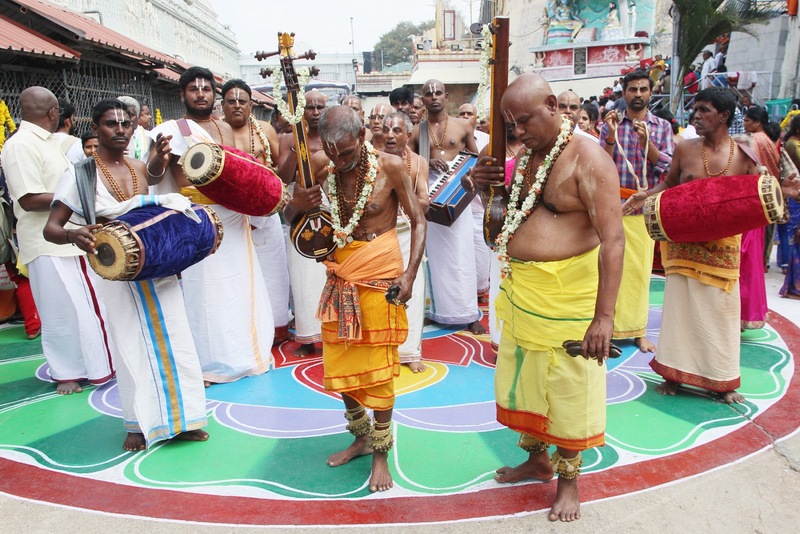 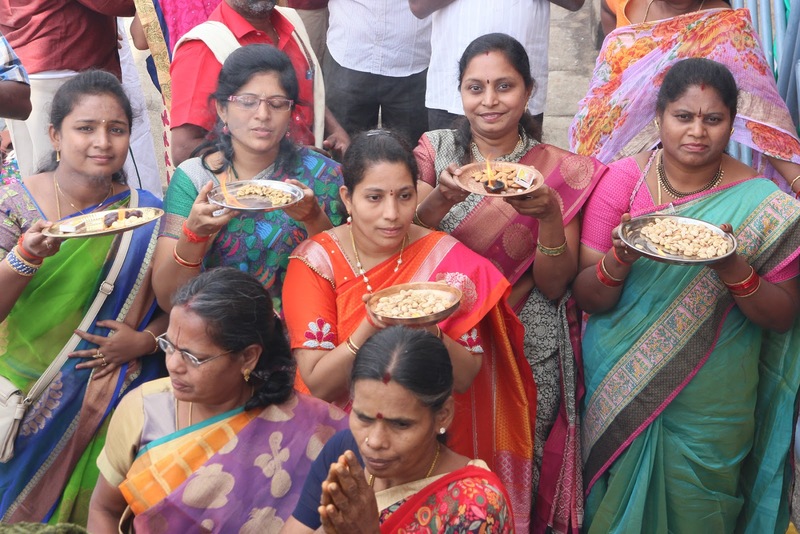 Tirumala, 12 Feb. 19: The cultural troupes which performed before vahana sevas on the occasion of Radhasapthami in the local temples enthralled pilgrims in a big manner. 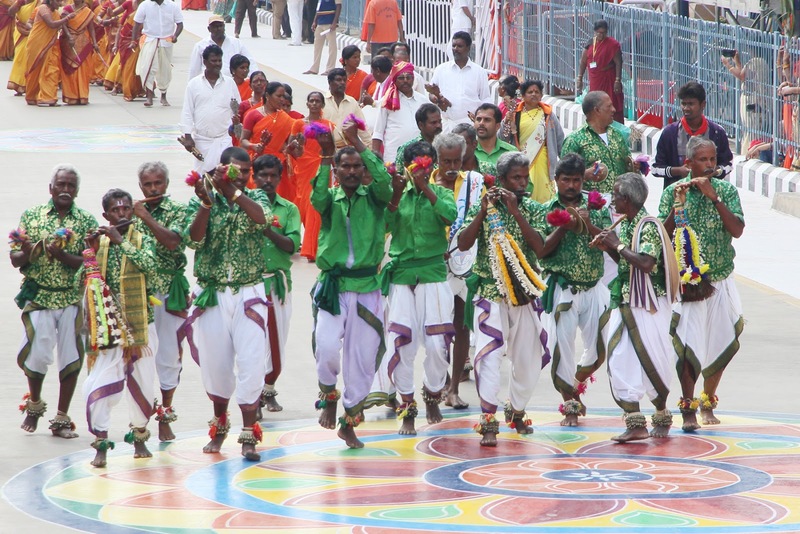 Nearly 220 artistes in 15 troupes participated to perform their arts before vahana sevas in the temples of Tiruchanoor, Sri Kodandaraja Swamy, Sri Govindaraja Swamy temples. 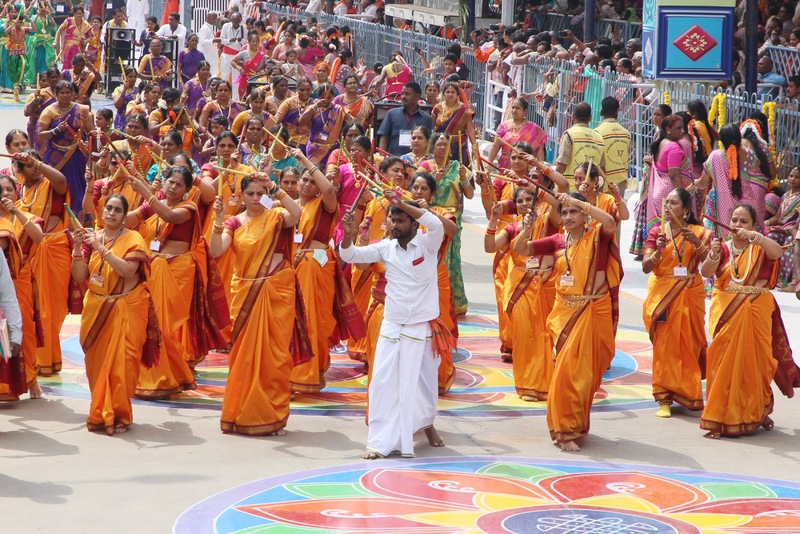 The devotees were thrilled to see their performance of Kolatam, Chekka Bhajana, Adugula Bhajana, Venkanna Bhajana, Tirunaman Kodai etc.